I replied to the OP with his question about size. That is all. I don't know what other discussions with other people buried in this long thread you have had. I stayed out of those. I have held the E-M5 in my hands many times (don't own one yet though) and I have held the K-5 (and K-7) in my hands many times. The E-M5 and lenses are much smaller/lighter. Yes, Pentax has a few nice, small lenses, but those are the exception. 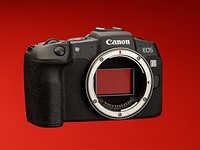 The 1.5x APS-C sensor pretty much guarantees larger lenses then a 2x m4/3 sensor. I never said anything about which camera is better or even whether smaller is better since that is a subjective view that different people can have different opinions about. If you take the whole list of Olympus and Panasonic m4/3 lenses and compare them to the comparable Pentax ones (or, if necessary Sigma/Tamron) then in almost every single case the m4/3 lenses are smaller, usually much smaller though. I have held all the m4/3 lenses in my hand, including lenses such as the Voigtlander f0.95 25mm and I have held most of the Pentax, Sigma, Tamron lenses that are comparable. In almost every case there is no comparison when it comes to size. Again, this has nothing to do with which one is better since I find that whole sort of argument childish. Yes, I know. In 2010 I had a Pentax K-7. Very nice camera that was letdown by its sensor from around ISO 1600 on up. The K-5 has a great sensor though so, I know, that it is a very nice camera.